When it comes to choosing flooring for your home in Arlington, Alexandria, or the Northern Virginia and DC Metro area, Alexandria Carpet One Floor & Home is your first, last and only destination. We feature premium quality brands you know and trust, as well as the latest in “green” flooring options (and US Green Building Council-trained staff on-hand to get it right.) Each flooring product we carry will bring years of enjoyment and beauty to your home while accentuating your decor in a way that reflects your personal style. Whether it’s a small room remodeling project or a complete renovation, you’ll discover great new looks and versatile flooring choices in a wide range of colors, patterns and sizes. Aside from having the largest in-stock assortment of quality wools and designer styles in the DC Metro area, we offer the Beautiful Guarantee. That means you can shop with the confidence of knowing that the flooring you buy will look absolutely stunning in your home. If for any reason you’re not happy – we’re not either. Simply let us know, we promise you’ll love the way your new floor looks, or we’ll replace it for FREE*. That’s just one way we make customers our highest priority. With industry-trained installation experts and a team of on-site field service supervisors to monitor your project from start to finish, we ensure your total satisfaction. And our customers agree. Alexandria Carpet One is a proud recipient of the Angie’s List Super Service Award for three years running. This award is given to businesses who achieve and maintain a superior service rating in customer reviews — only 5% of Angie’s List businesses ever reach this level. 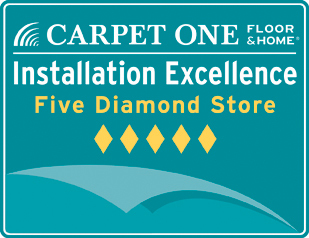 We are also a Carpet One 5-Diamond Installation Excellence member. Our sales and installation professionals are individually trained and certified through the Installation Excellence program to provide the highest level of technical skill and superior service. We have earned the prestigious 5-diamond rating based on feedback and reviews from our satisfied customers. Alexandria Carpet One Floor & Home is the residential division of CCA Floors & Interiors, the largest flooring dealer in Northern Virginia, Maryland and Washington D.C. 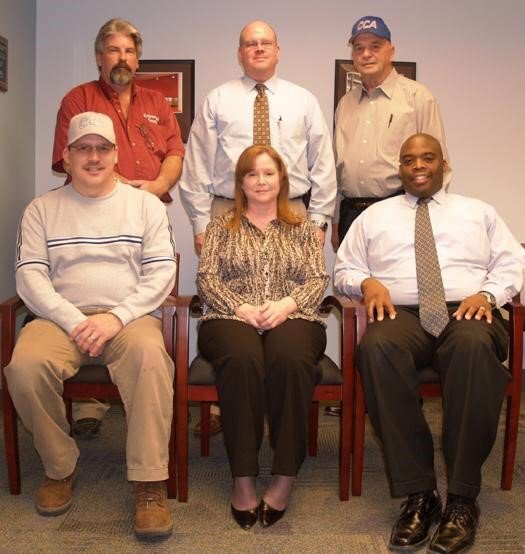 Here at Alexandria Carpet One, we have a world-class team to assist with your project. Whether you are looking for expert advice on green flooring options, or design assistance to coordinate your flooring and furnishings, our staff of professionals represents the best the industry has to offer. We have a LEED AP and LEED GA on-staff for green flooring expertise, in-house interior designers, accredited estimators, and more. Dave has more than two decades of experience in flooring management and more than 40 years in the industry. His diverse experience includes time on the manufacturing, distribution and retail sides of the flooring industry. An avid organic gardener, Dave is proud of our commitment to green flooring products. Elisha is usually the first of many smiling faces you will see in our showroom. A native Marylander, Elisha’s energy and positive attitude are contagious. On a daily basis, she supports the sales team, greets customers in person and by phone, coordinates advertising efforts and helps the business run smoothly. Dan is the most seasoned member of our professional sales team with over 12 years on board. He has over 30 years experience in flooring and a staggering list of satisfied clients in and around the DC metro area. Dan is also a proud veteran, serving with the 1st Battalion, 5th Marines as a Navy Corpsman in Vietnam. Courtney has been on the Carpet One team for more than 8 years and has experience in many areas of interior design. She hosts our ASID CEU training events in our showroom and can give expert advice when it comes to coordinating flooring with your whole project. Jim brings 0ver 20 years’ experience in the flooring industry with expertise in sales and design. His specialty high-end porcelain, ceramic and natural stone tile design. Jim is expert at in-home estimates, and he takes pride in helping customers make the right decisions and delivering a project that exceeds expectations. We believe in flawless execution every step of the way, so our work continues after you’ve made your flooring selection. We are experts in flooring installation, and we stand behind our work with a “Life of Floor” warranty. You can rely on our flooring installation experts. After all, this is your home we’re talking about. With 30 years of floorcovering experience, Andrew Goshorn has spent the last 13 years as CCA’s Installation Service Manager. Andrew is also the current president of the Maryland & Northern Virginia Floor Covering Association and is actively involved in other trade associations such as FCICA, NWFA and CFI. He recently achieved the highest status conferred by the industry by becoming a Certified Flooring Executive (CFE). Rita’s background is in administrative functions, customer service and payroll. She has been at CCA for 12 years, where she does installer payroll, certified payroll, security requirements, customer service, and various administrative tasks. As a Certified Flooring Inspector, Charlie is an expert in flooring failure analysts and an expert witness in flooring problems and failures He has been in the flooring business since 1986 and with CCA as a Field Installation Supervisor for the last 10 years. Tom Peregoy is a field Installation Supervisor with 46 years of experience in the carpet trade and oversees all of CCA’s crews. With a passion for the technical aspects of projects, Tom has been with CCA for 22 years covering two stints. running jobs as large as 27,000 yards, utilizing as many as 62 installers. Bobby Still has over 20 years in and around the flooring industry. As a field installation supervisor, Bobby’s role is to complete pre-inspections and post inspections on each flooring installation, both commercially and residentially. Bobby not only enjoys his position, but he feels that great customer service is one of the most important aspects of the job.